GFS’s new H175 will progressively replace its fleet of AS332 L2 and H155 which currently provide 24-hour emergency support services from its base at Chek Lap Kok Airport. 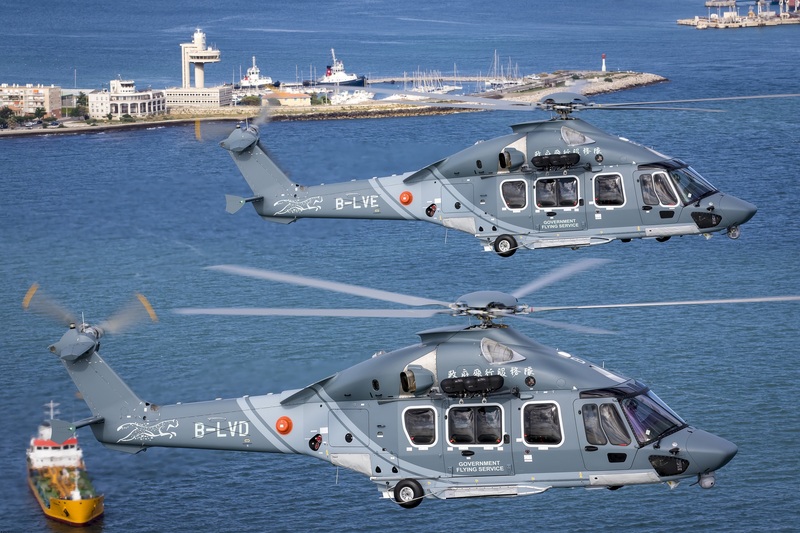 The public service version of the H175 benefits from more than twenty cabin configurations which can easily be re-configured based on mission requirements. The great versatility of the aircraft is backed by approximately seventy different types of optional equipment which include an electro-optical system for observation and tracking and a digital map display, both being managed by an operator’s console installed in the cabin. Mission equipment also includes a dual hoist, a search light, an infrared camera and a radioactivity detector, which is a GFS-specific equipment. The H175 benefits from the latest developments of Airbus Helicopters’ state-of-the-art Helionix avionics suite, which bolsters the helicopter’s search and rescue capabilities with advanced SAR modes, allowing the aircraft to hover automatically above moving vessels.